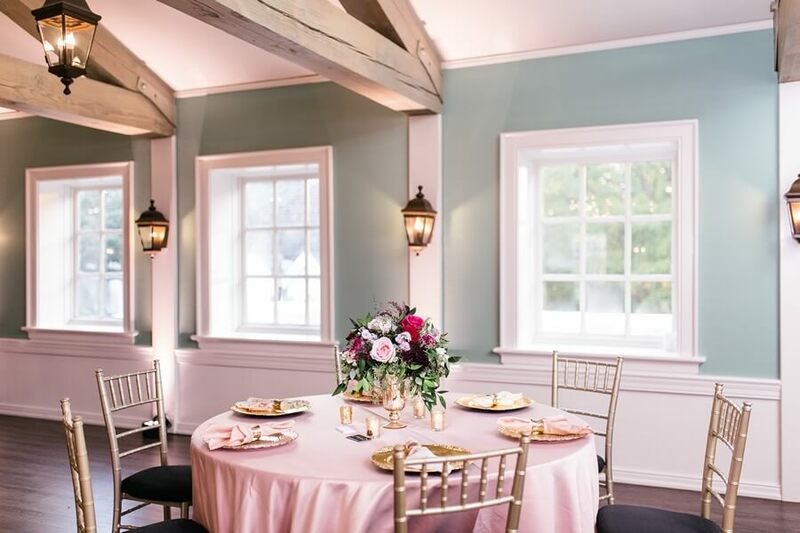 Charming is the perfect word to describe Kleinburg, Ontario, and The Doctor’s House epitomizes the town’s small-town warmth to a tee. 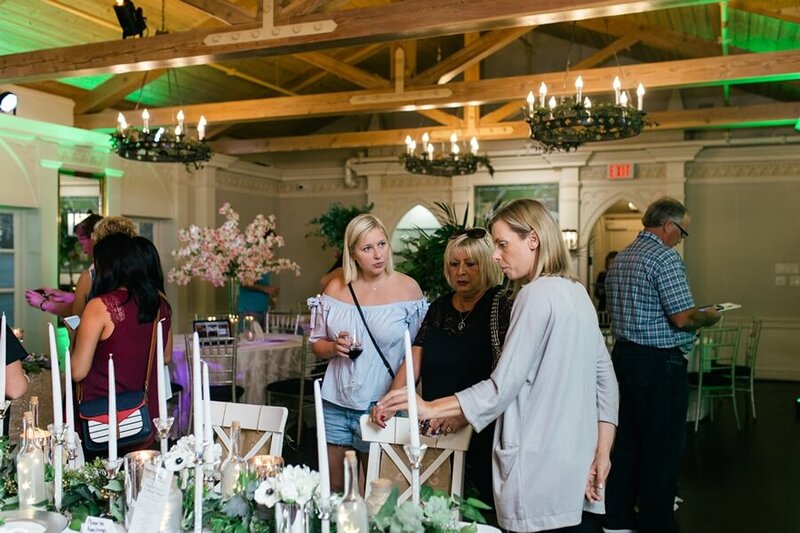 This past Tuesday, we had the pleasure of attending their open house to enjoy a healthy dose of their renowned hospitality. 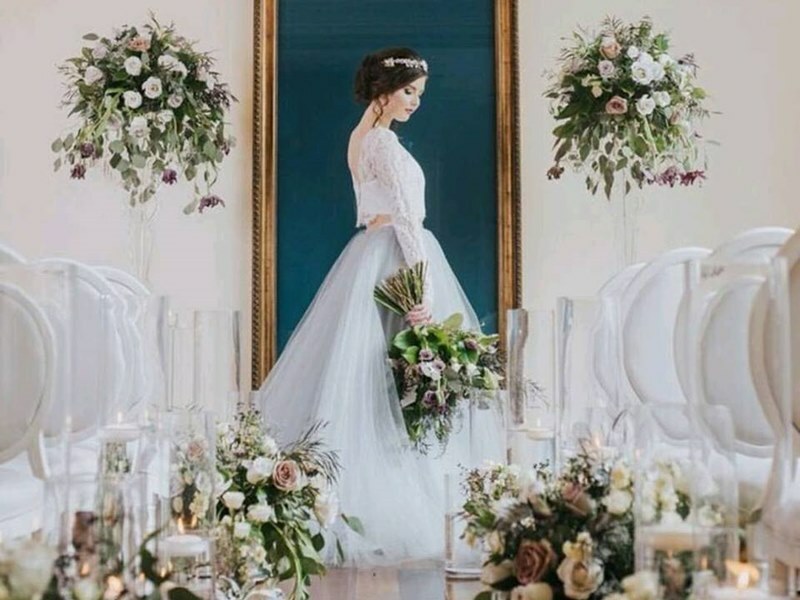 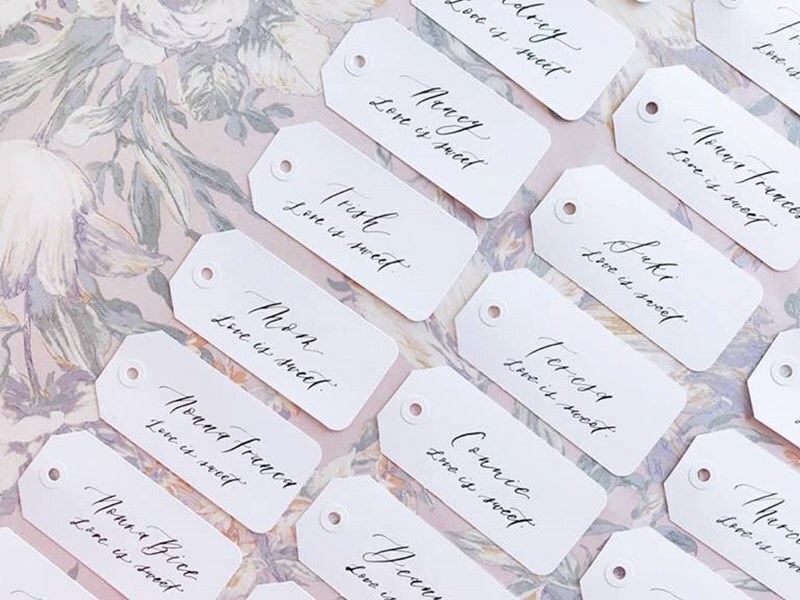 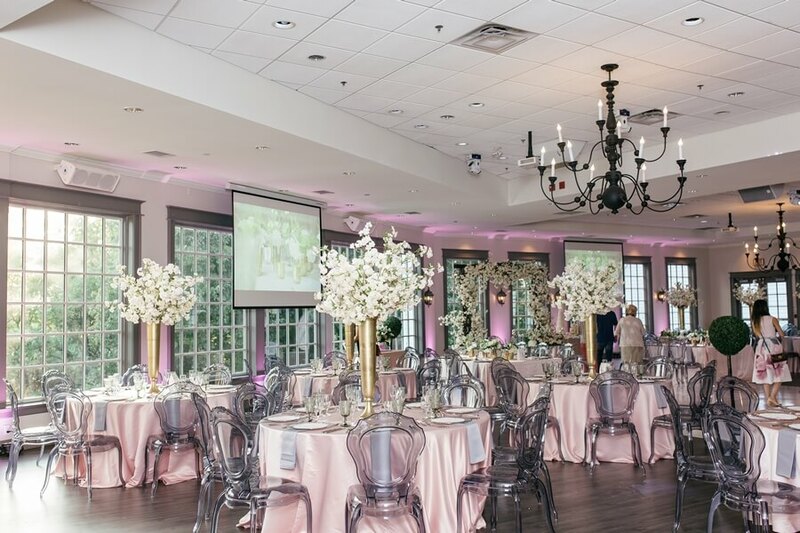 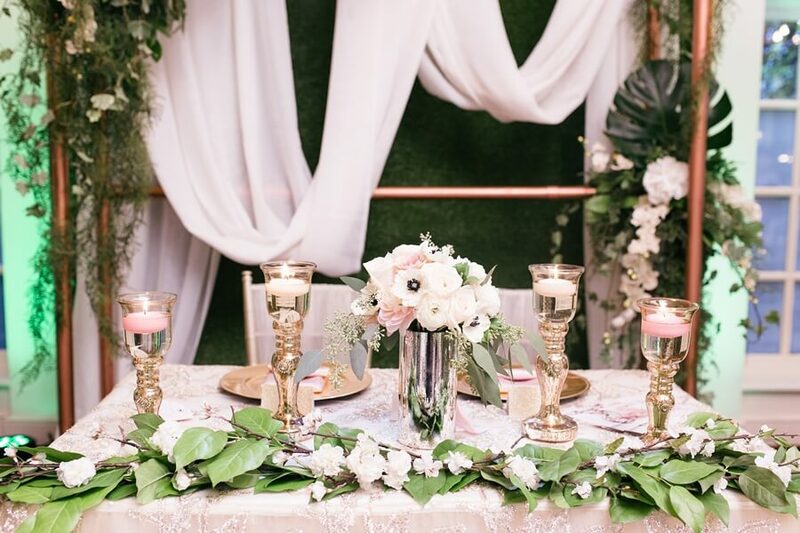 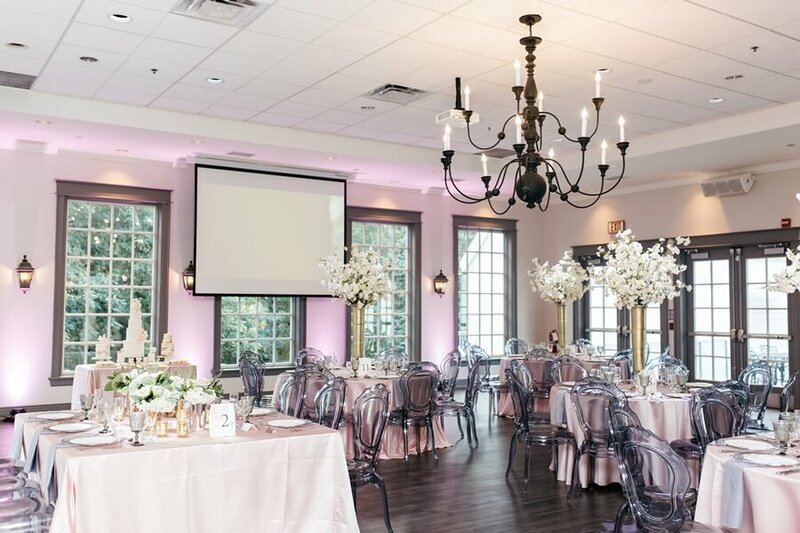 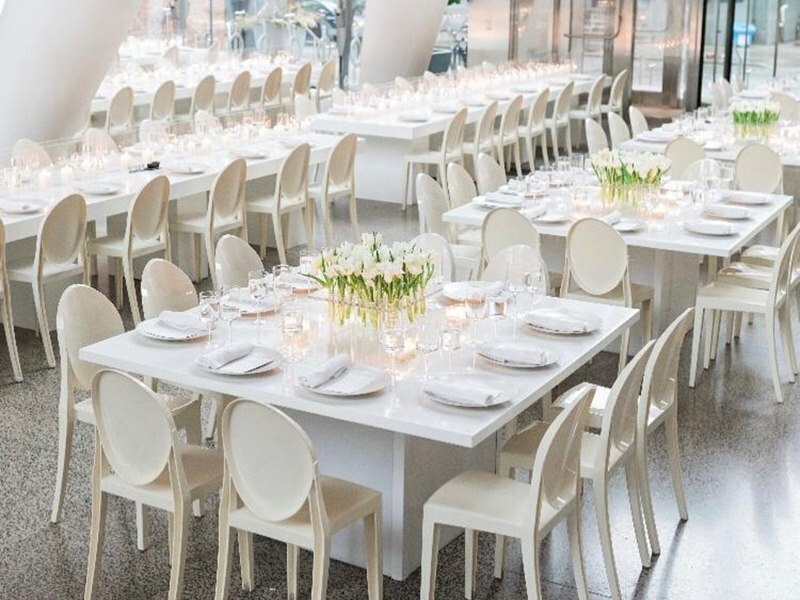 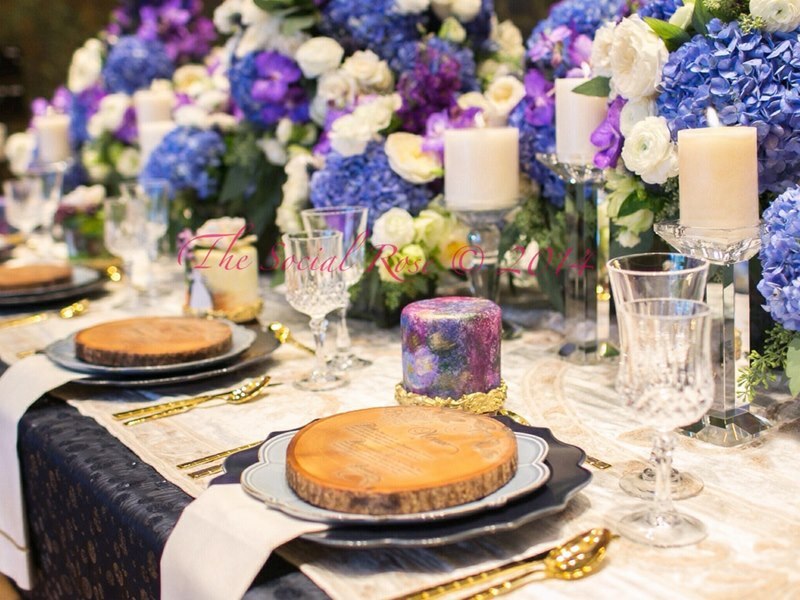 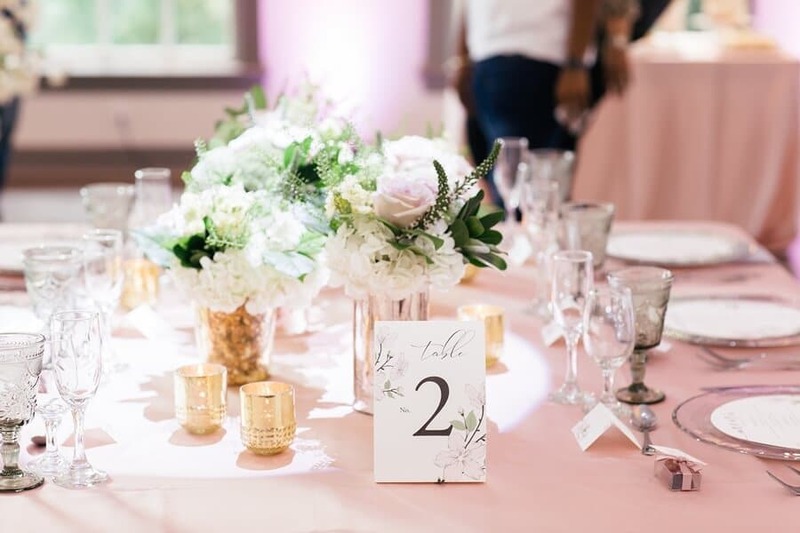 Each of the venue’s event spaces had a unique and elegant decorative theme, with a bevy of talented vendors coming together to create Pinterest-worthy inspiration for couples and their families to admire. 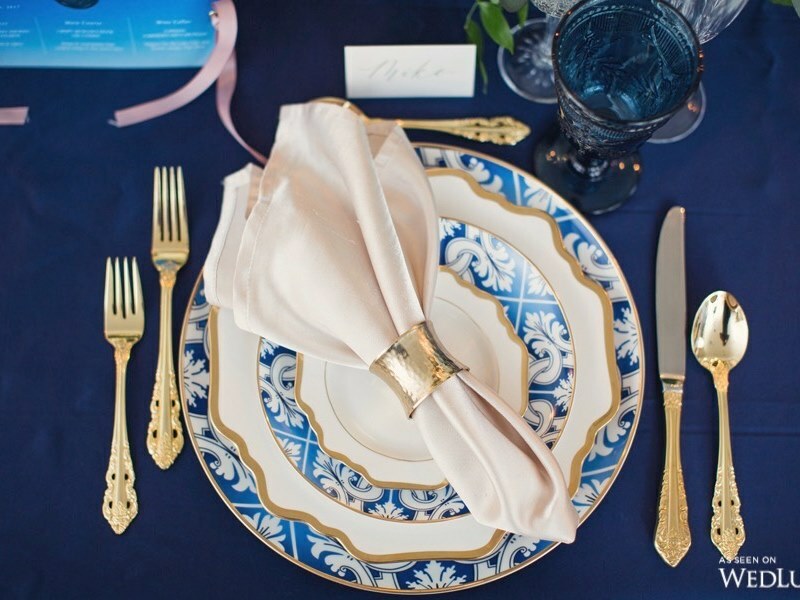 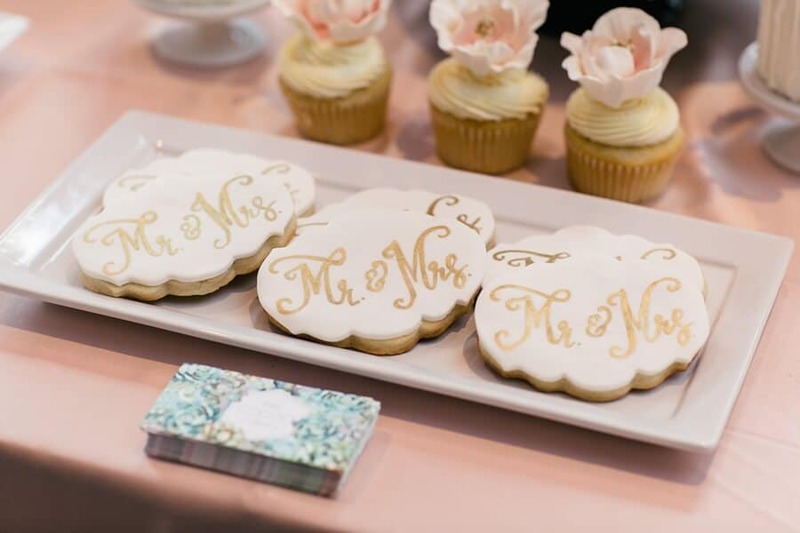 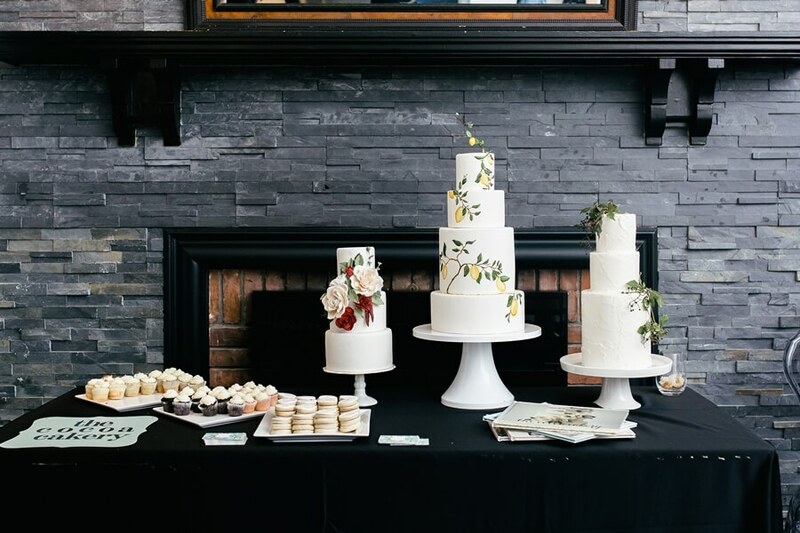 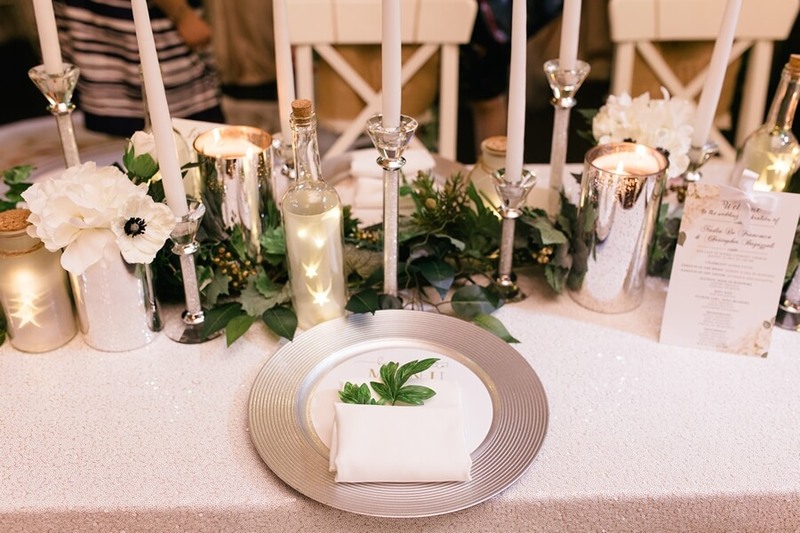 Our friend Lindsie Grey Photography was on hand to capture all the lovely details. 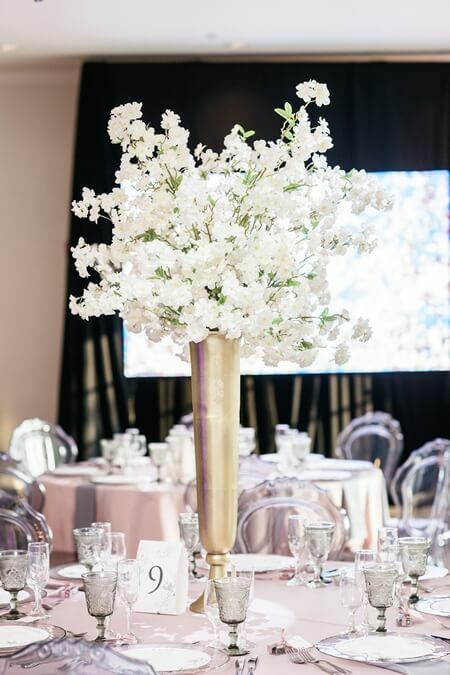 Beginning our tour in the largest room, The Great Hall, wedding planner, creative director, stylist and all ’round great person Rainbow Chan Weddings and Events rallied an impressive group of event vendors to create a romantic blush, white and gold room design prominently featuring a fan favourite – an abundance of cherry blossoms. 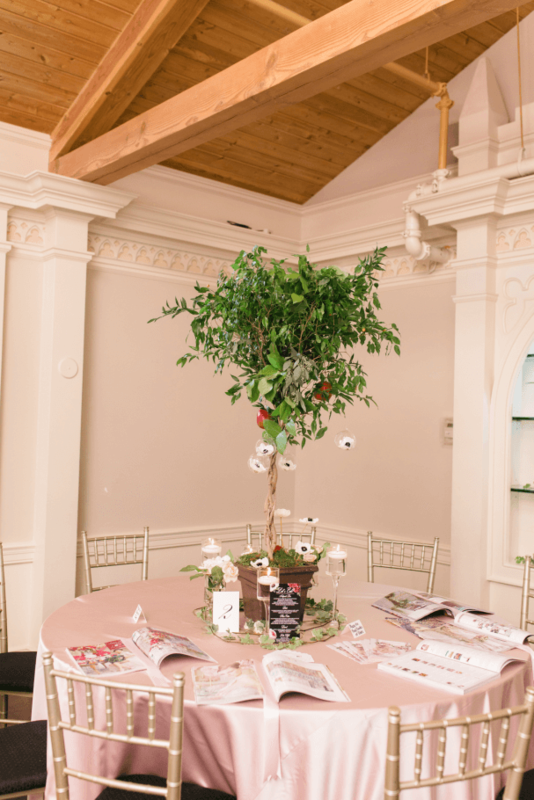 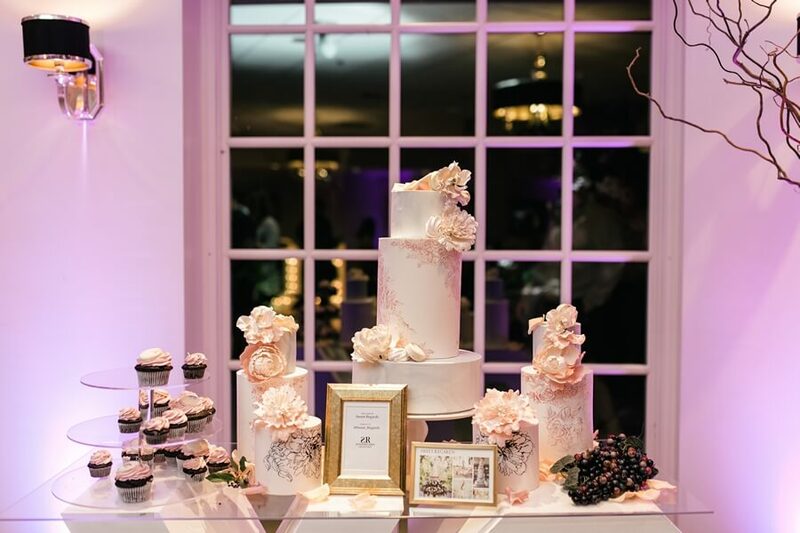 The lovely linens, floral and decor were provided by The Social Rose, cake and sweet table design by The Cocoa Cakery, and lovely floor design by Axe Media Group. 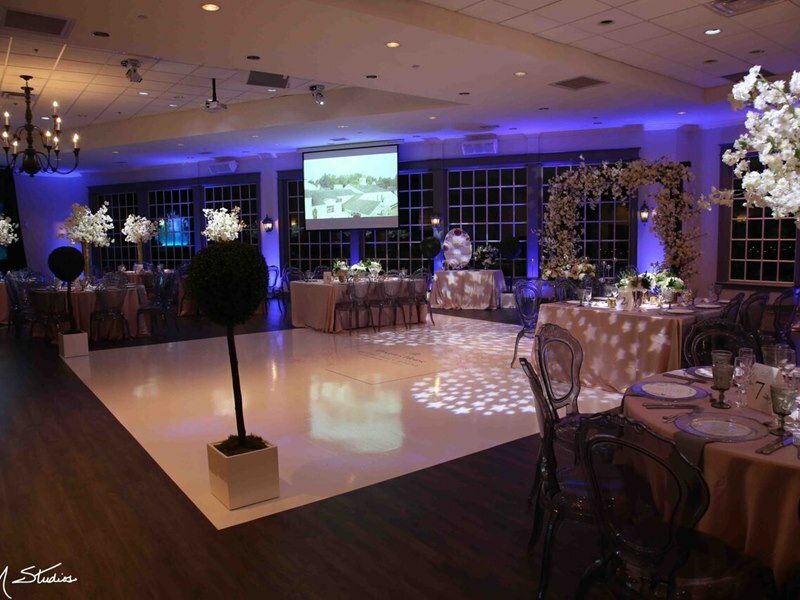 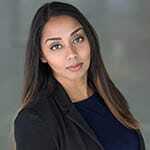 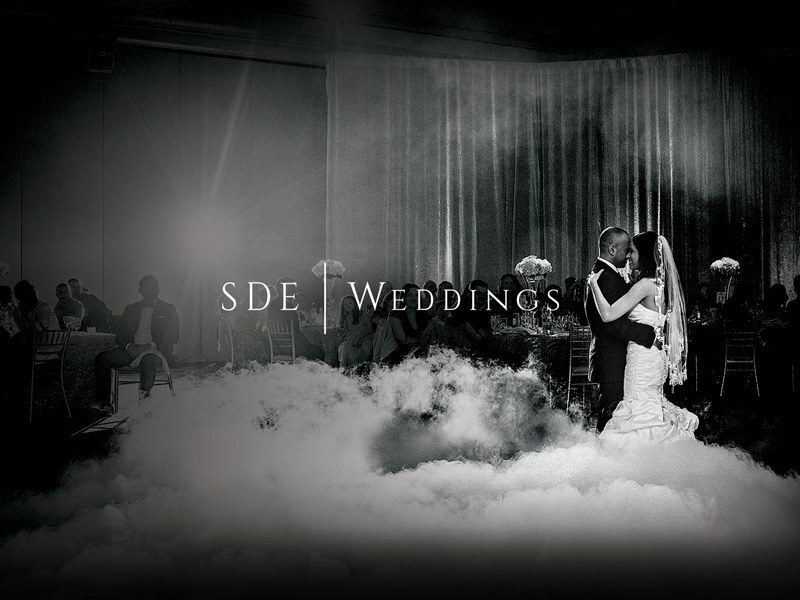 The entire venue was beautifully lit by in-house AV company Platinum Entertainment Solutions. 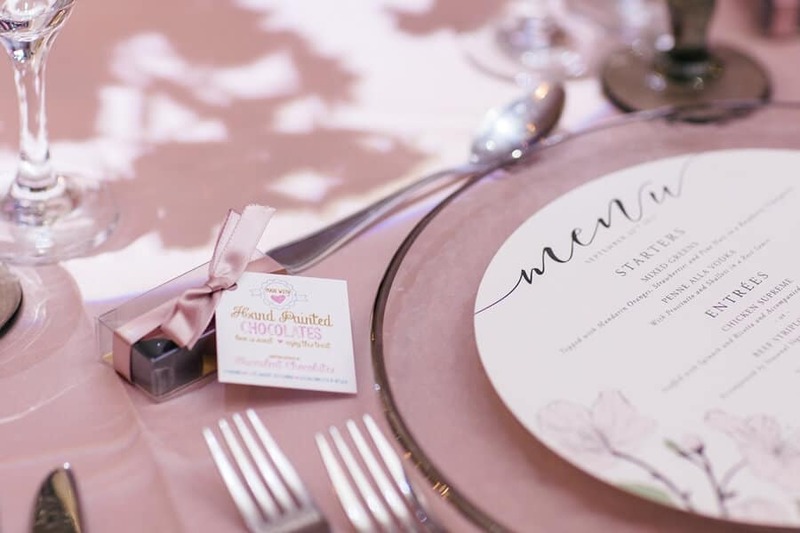 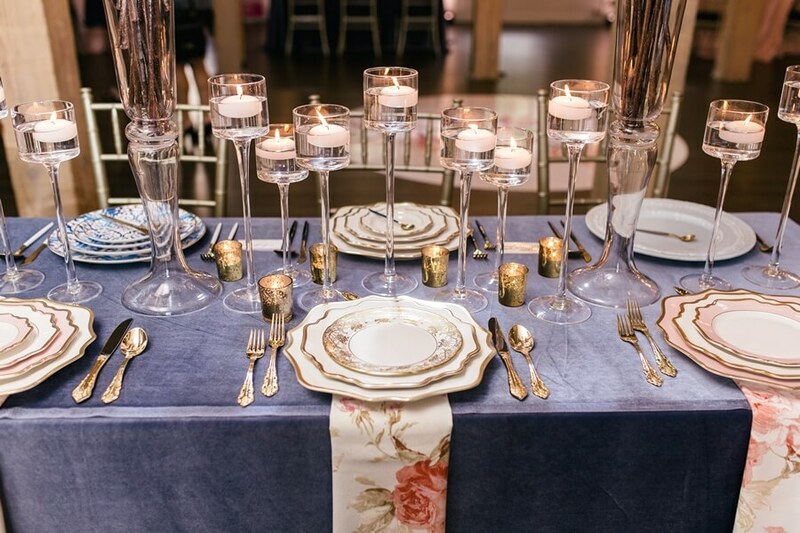 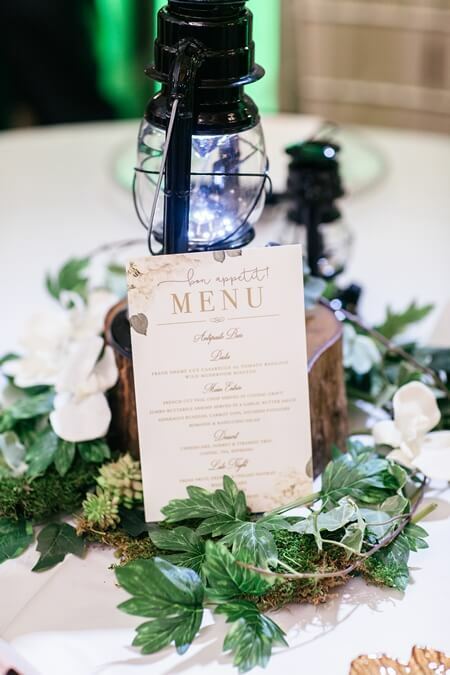 It’s really the little details that make an event special, and we really loved the stationery details provided by Brooklin Paper Co., the chairs provided by Detailz Couture Event Rentals and the chargers and smoke goblets provided by Simply Beautiful Decor. 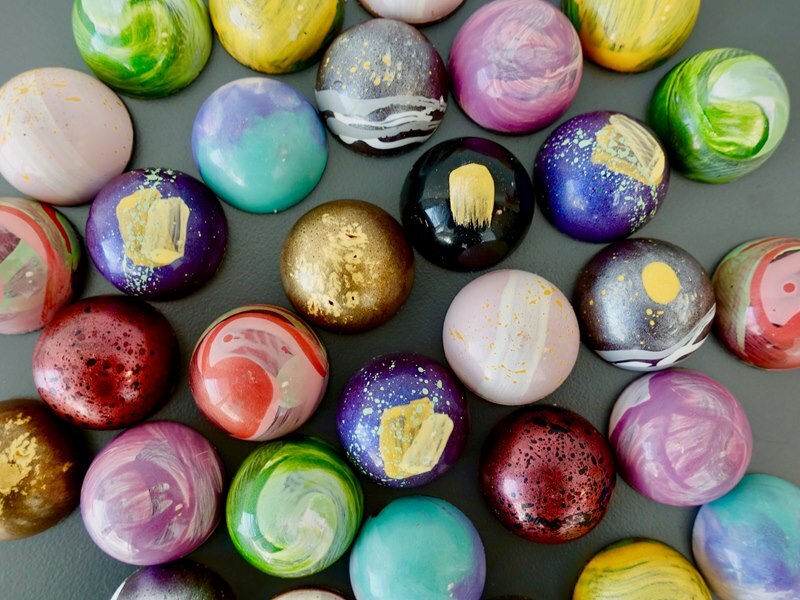 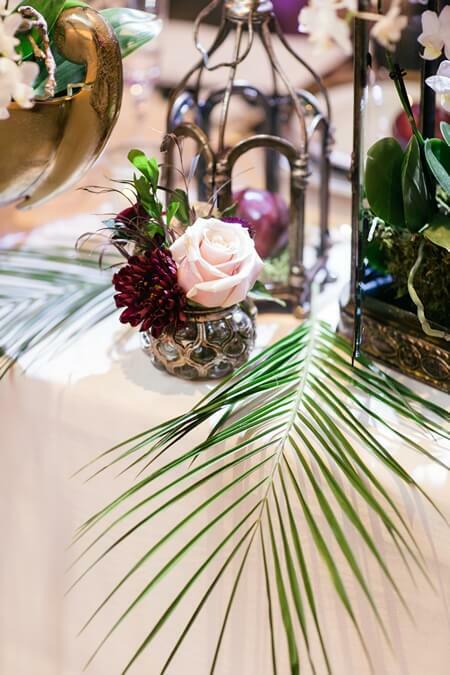 The chocolate favours from Succulent Chocolates were also a lovely touch! 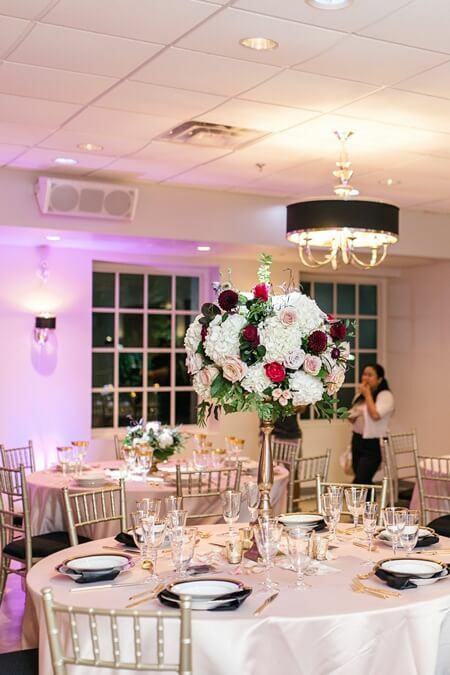 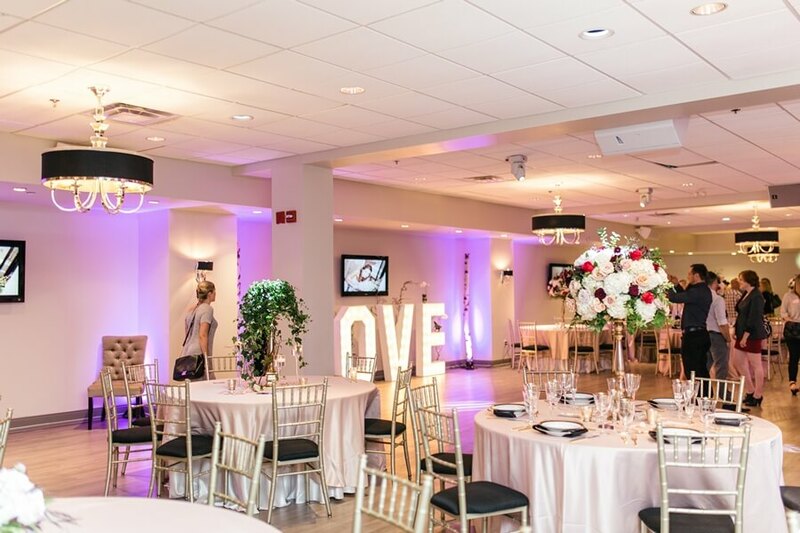 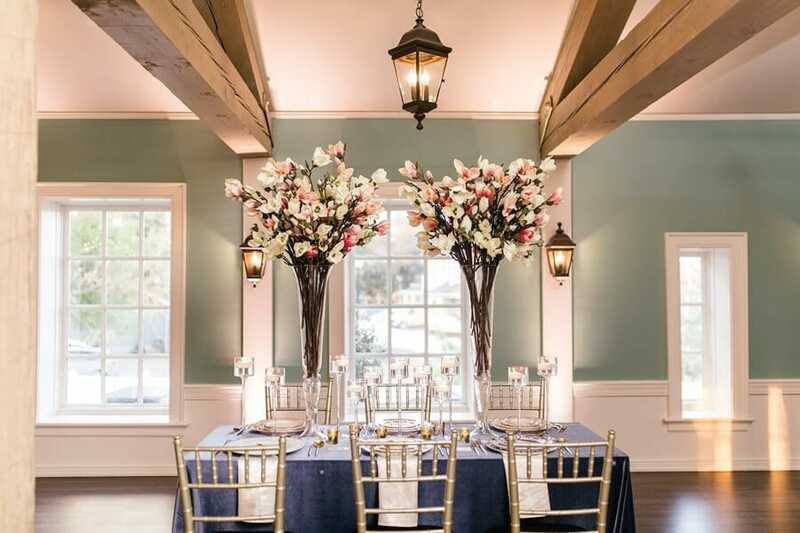 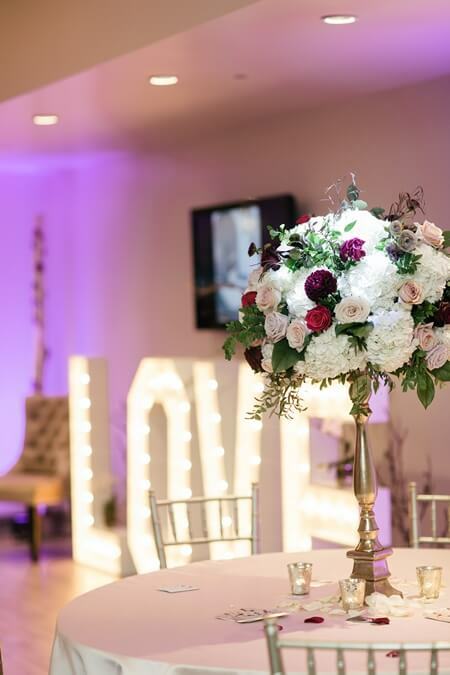 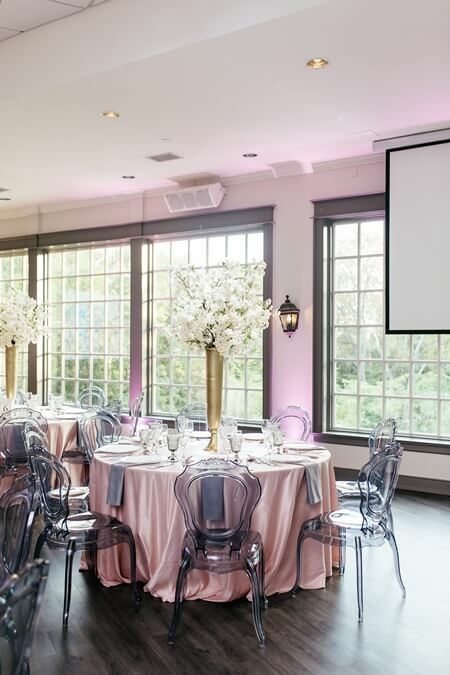 Meanwhile, on the upper level in the Heritage Room, the Designed Dream Wedding Planning team pulled out all of the stops to create a trendy masterpiece of event design. 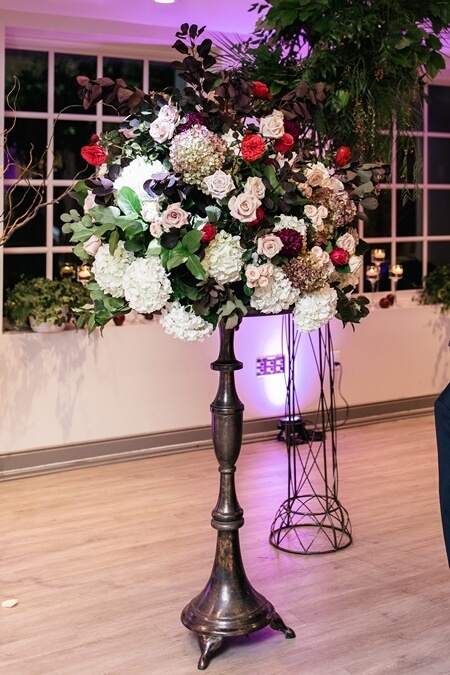 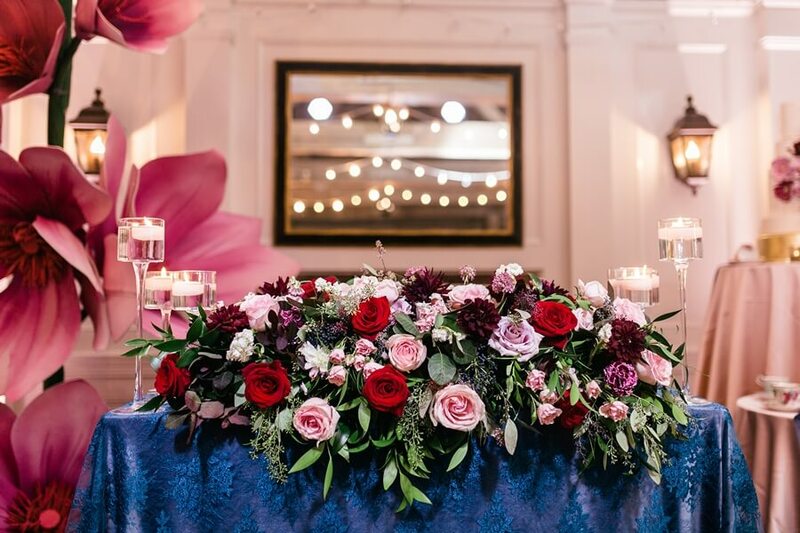 We absolutely loved the pops of burgundy paired with greenery in the centerpieces, crafted by Alina and her team at Flowers Time. 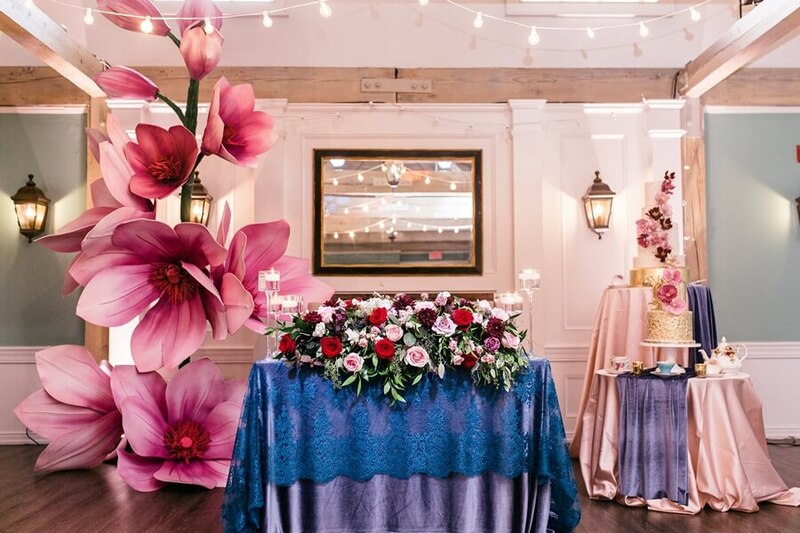 The head table design was outstanding, with huge, oversized flowers crafted by Engineered Arts. 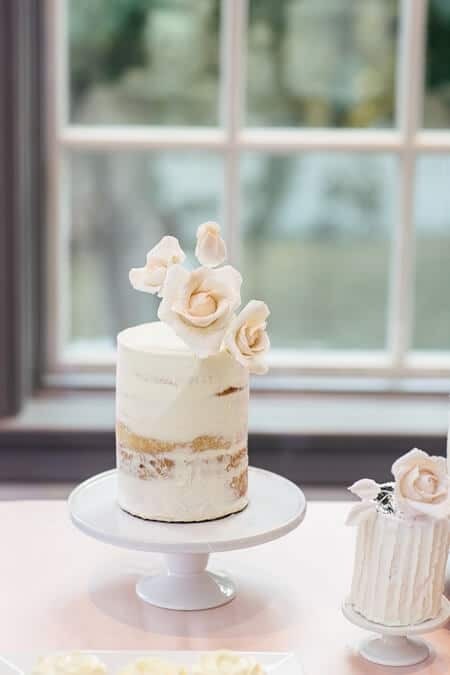 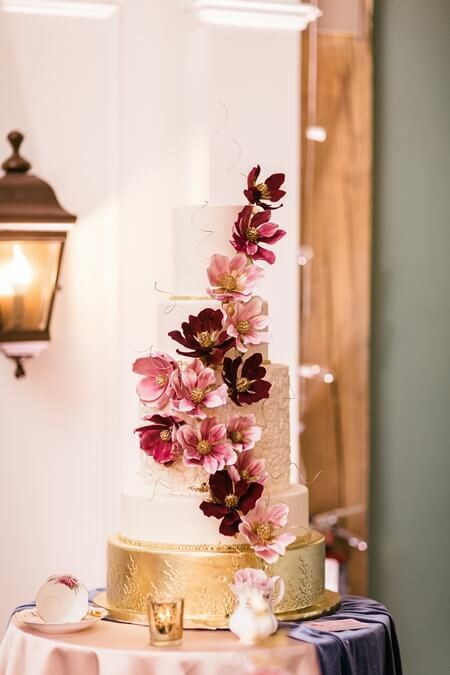 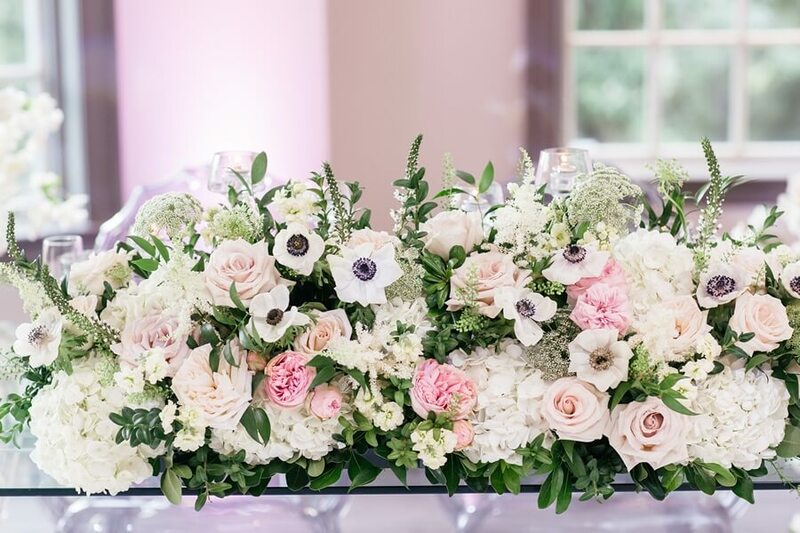 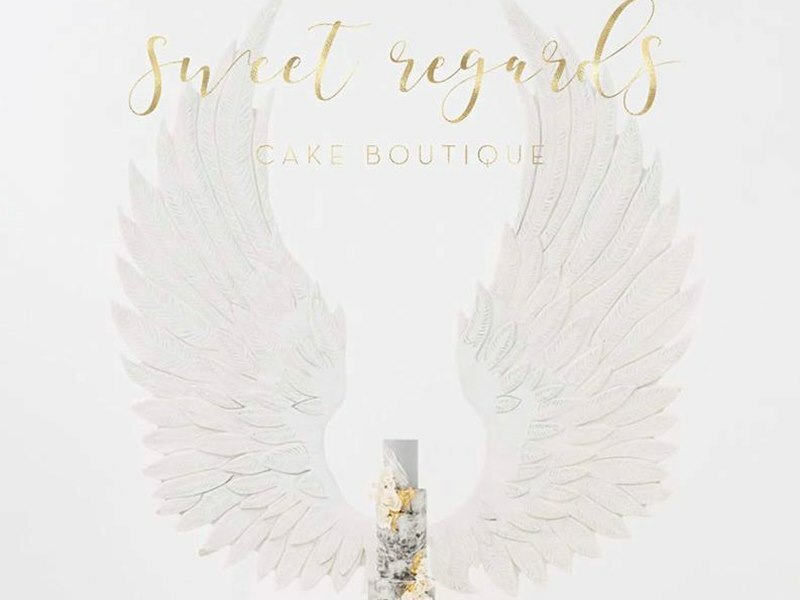 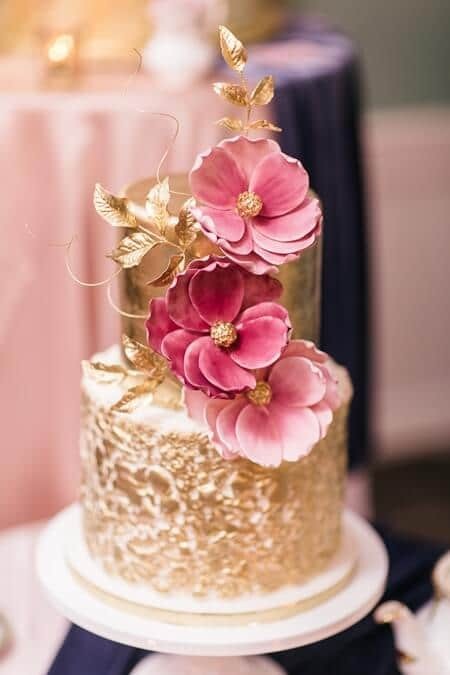 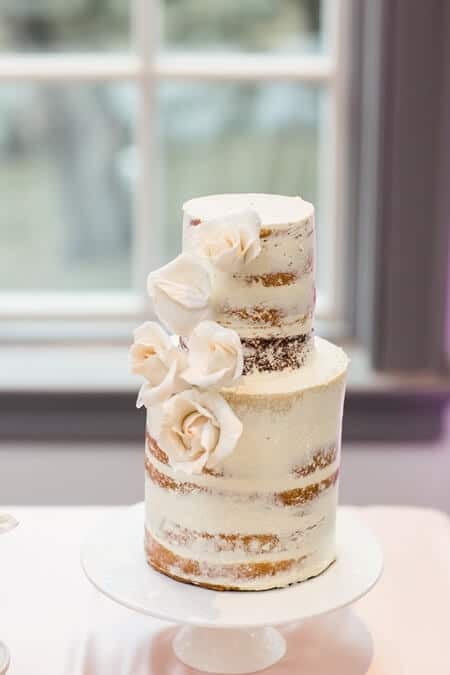 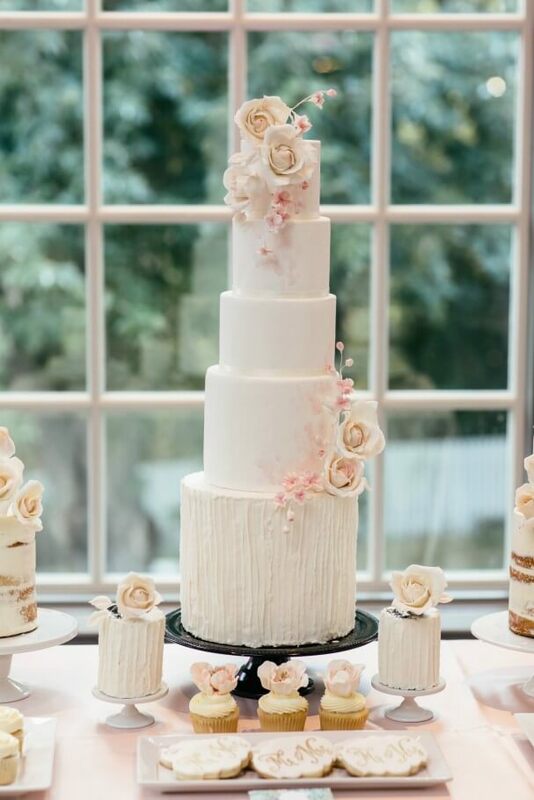 The beautiful cake table was designed by Cakes by Dolcevita, and featured matching cascading burgundy and blush flowers, as well as a delicate gold-painted base. 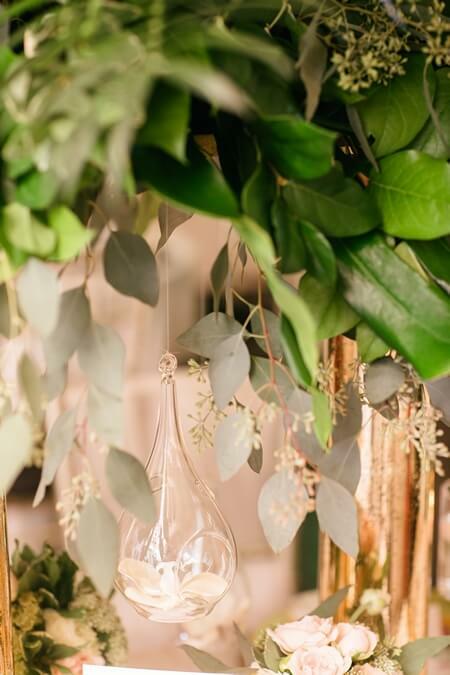 Over in the Garden Room, Wedding Wows Toronto created truly unique inspiration using greenery that would make the folks at Pantone proud! 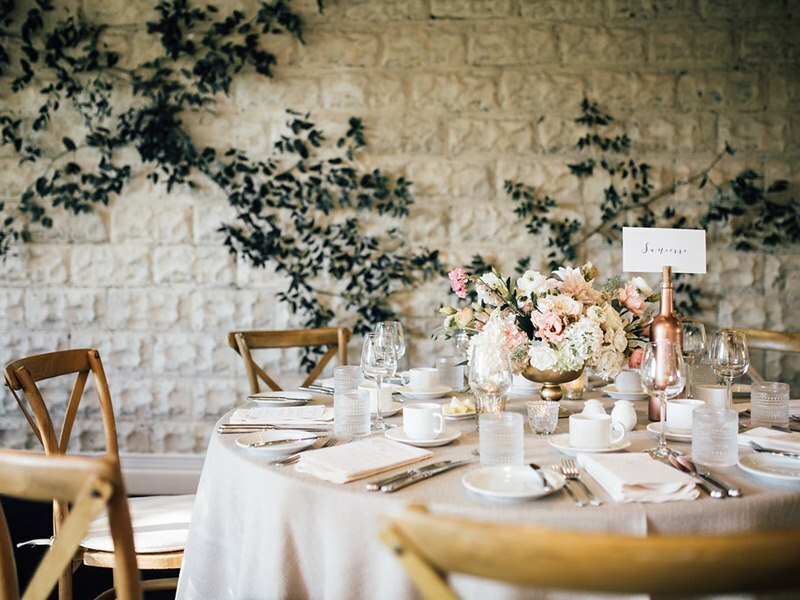 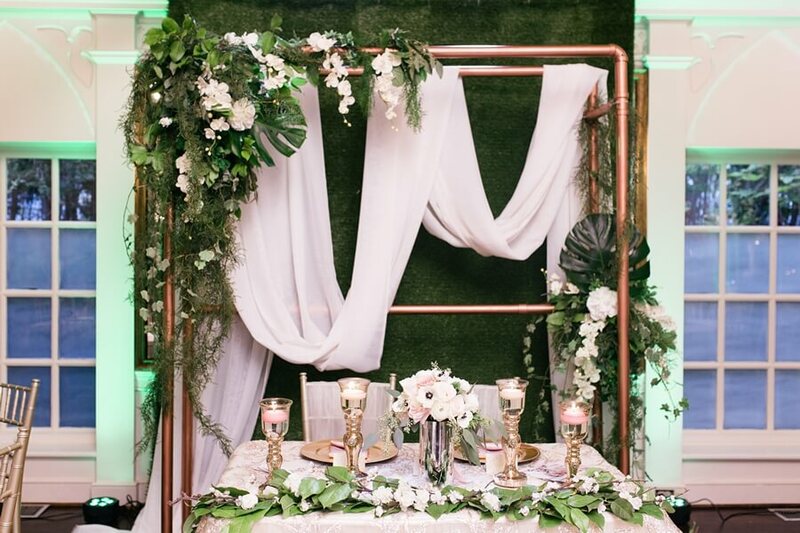 We loved the use of the exposed copper pipe and drape frame for the head table inspiration! 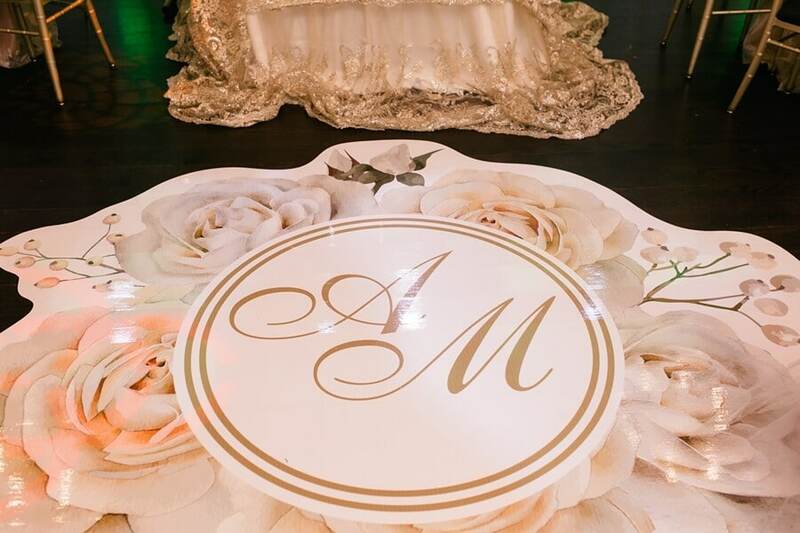 Event Graffiti created a beautiful asymmetrical floral monogram dance floor decal design, using soft complementary colours. 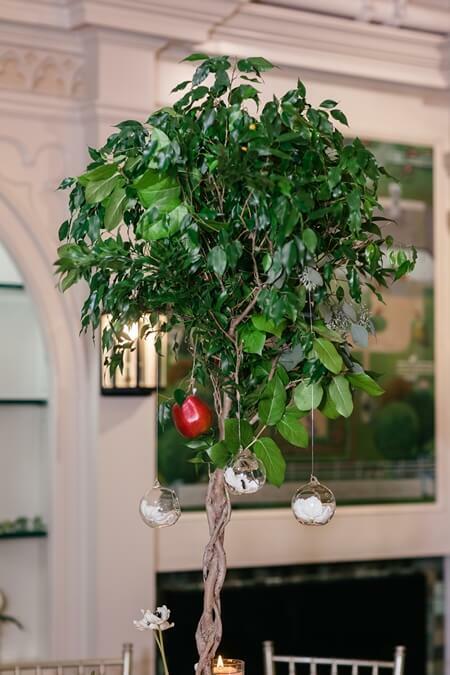 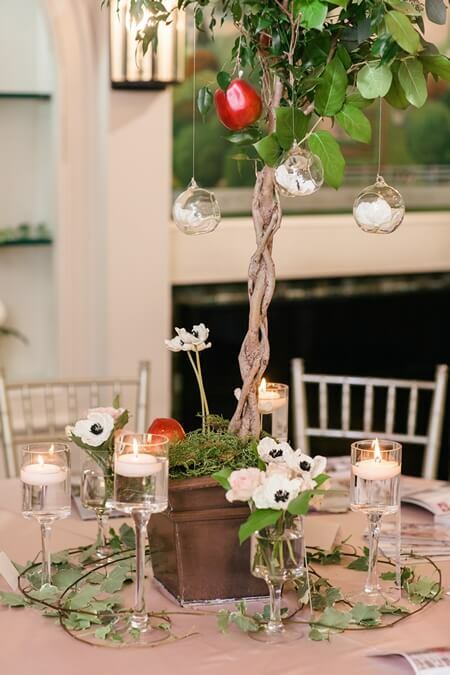 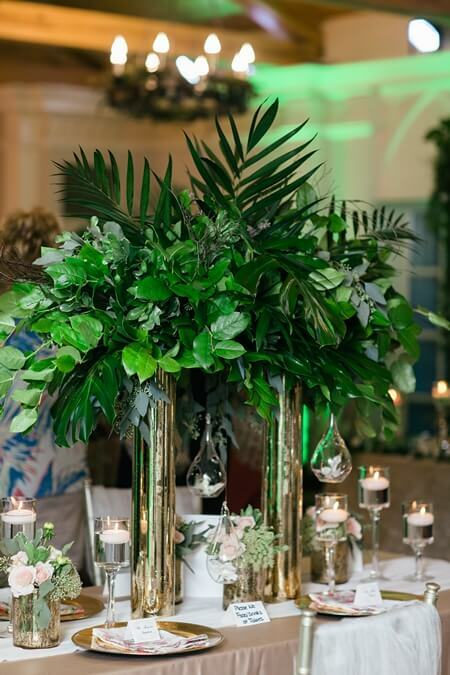 We particularly loved the tall centerpieces with wild greenery – it evoked a trendy safari or jungle feel in the room. 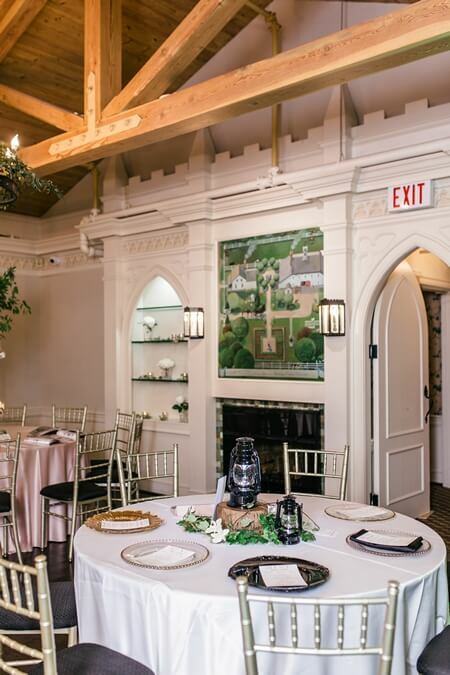 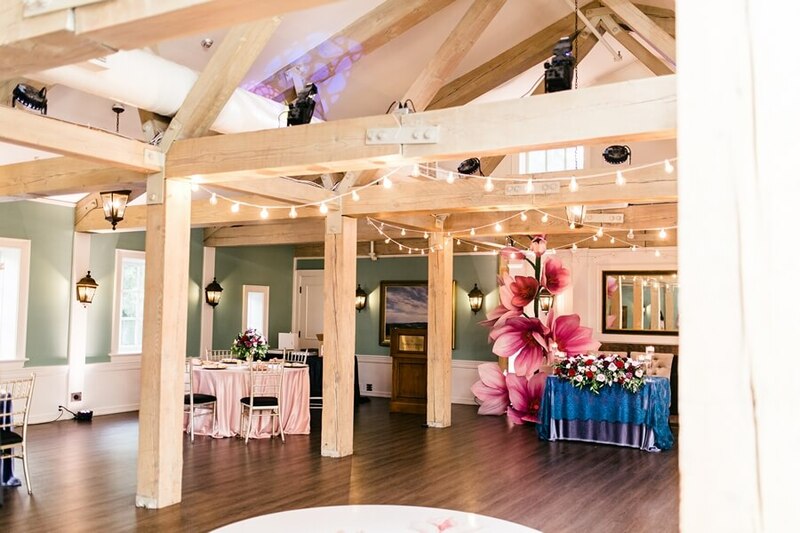 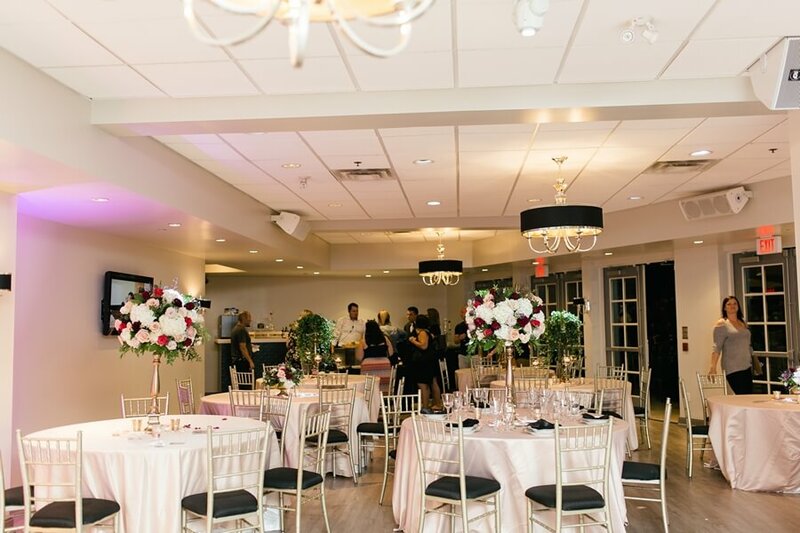 On the lower level, the Country Fare room was beautifully designed by The Brides Boutique. 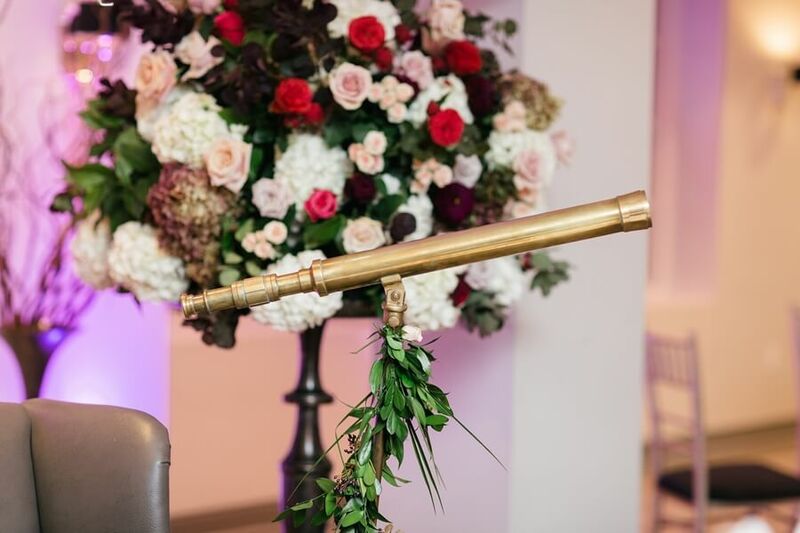 Opening Night Flowers created a truly stunning head table design, using fun props like an antique telescope and an abstract greenery arch. 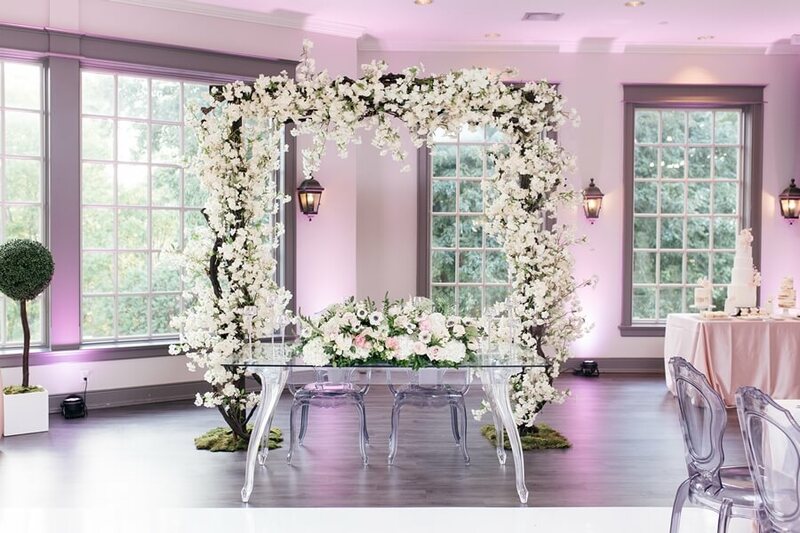 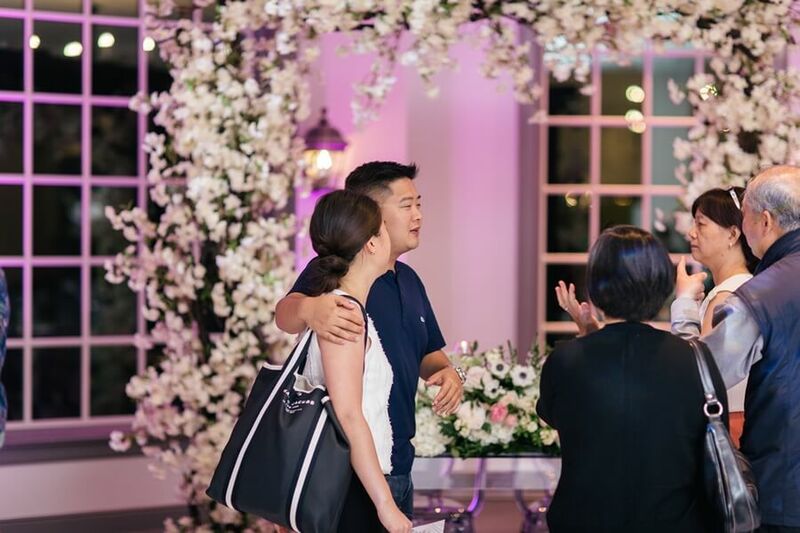 The large, oversized floral arrangements were absolutely breathtaking – we definitely stopped to smell a few roses! 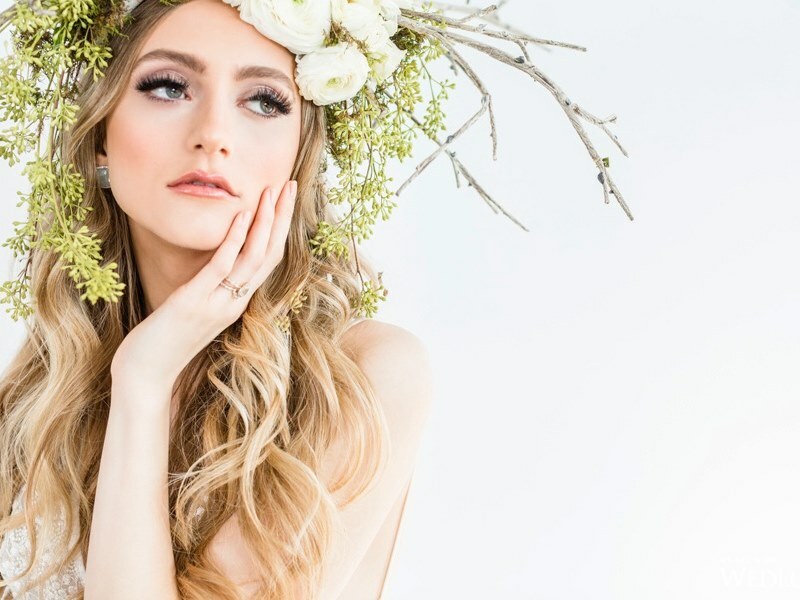 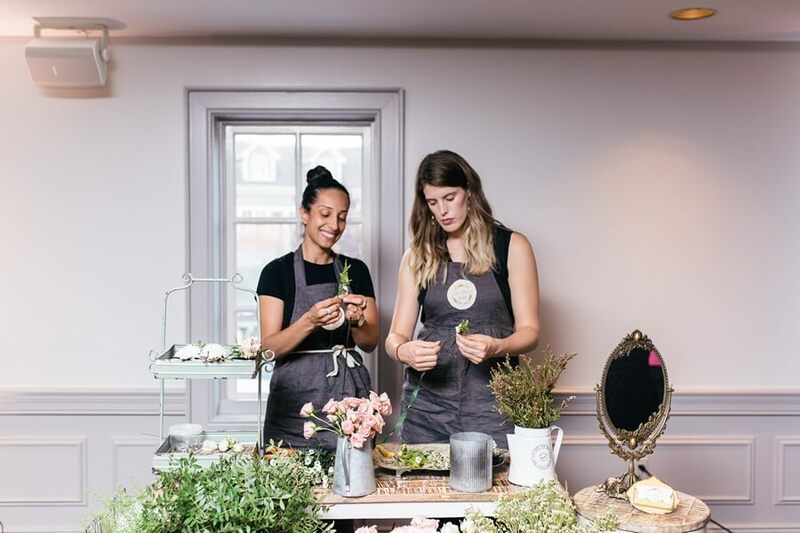 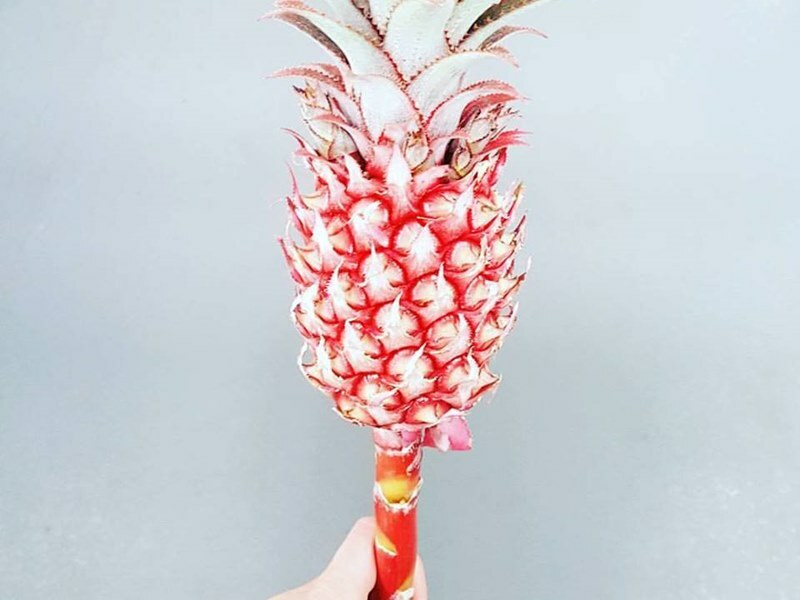 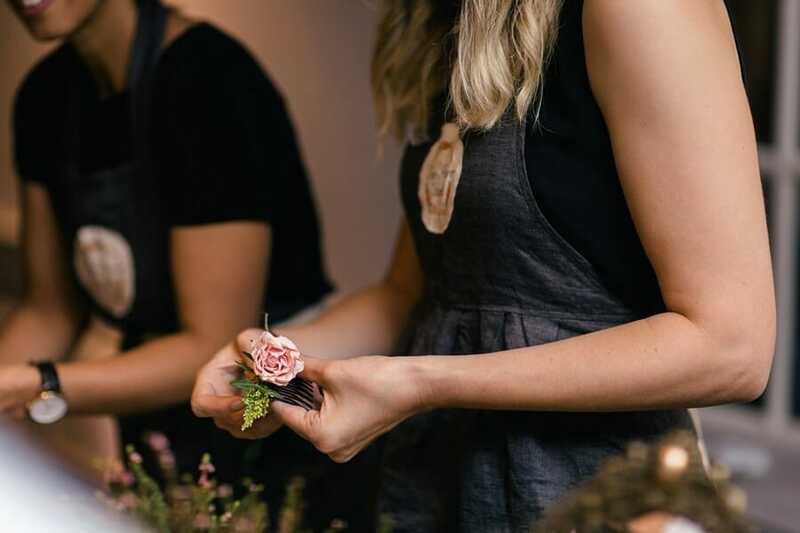 We met quite a few vendors that offered specialized services, like Fun Flower Stand, a team of florists who make on-demand floral crowns and hair pieces. 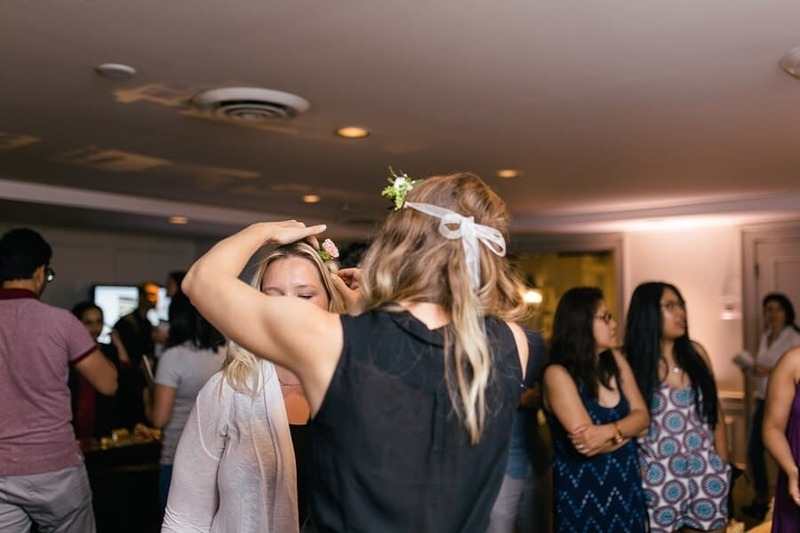 I rocked my pretty floral hair clip all night long! 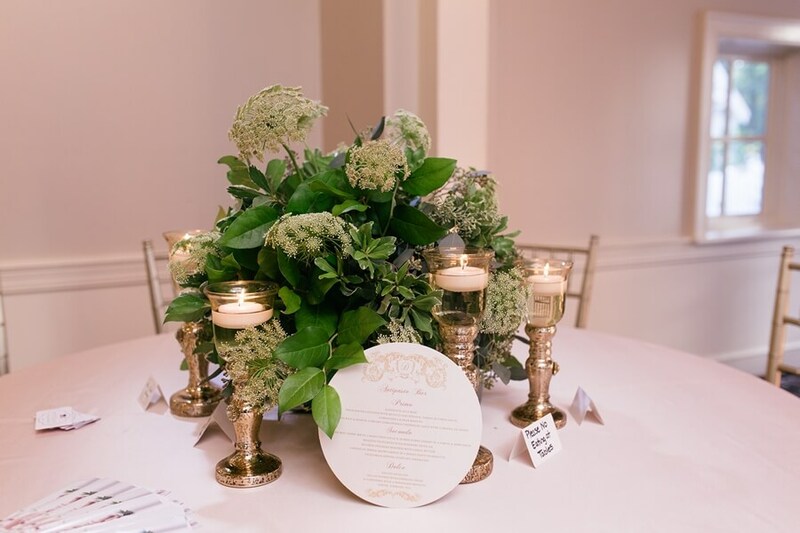 The lovely ladies from Brush Boutique showcased their impressive portfolio of past brides and LaBuick Ceremonies offered prospective couples guidance about on-site ceremonies in the Chapel. 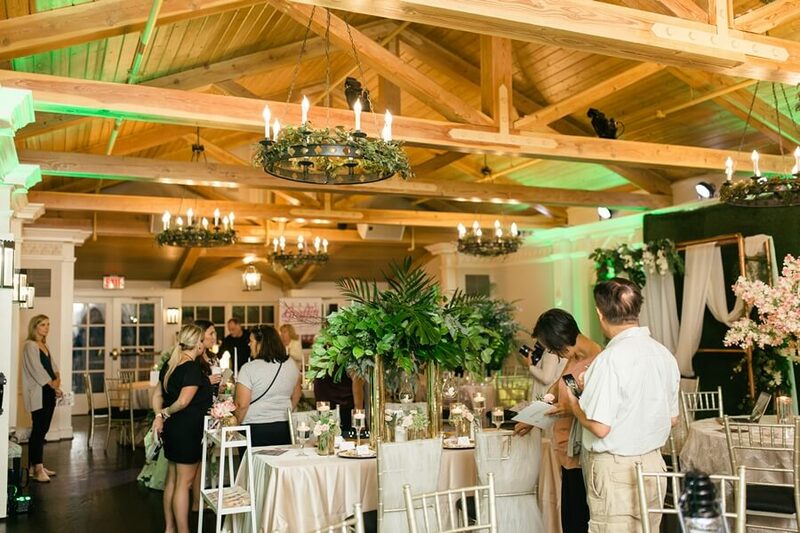 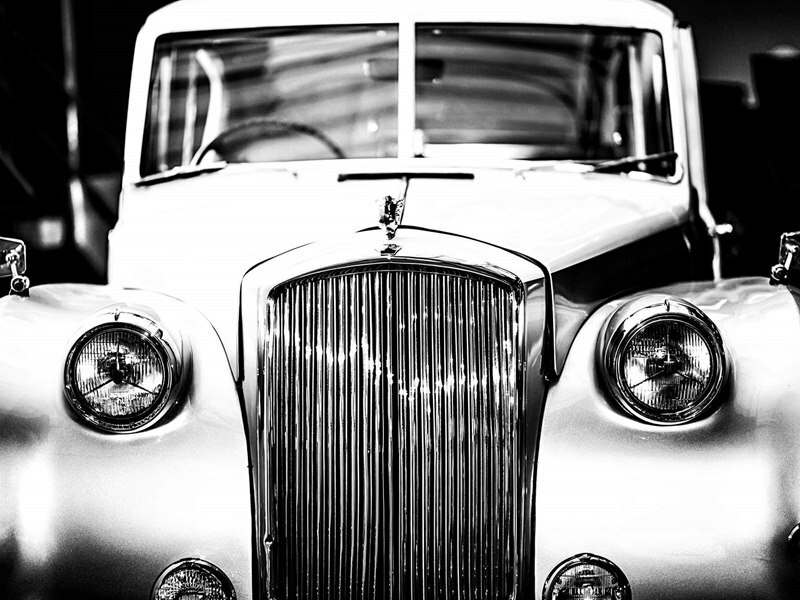 Overflowing with old-world charm, the Doctor’s House offers several event spaces to suit just about any taste. 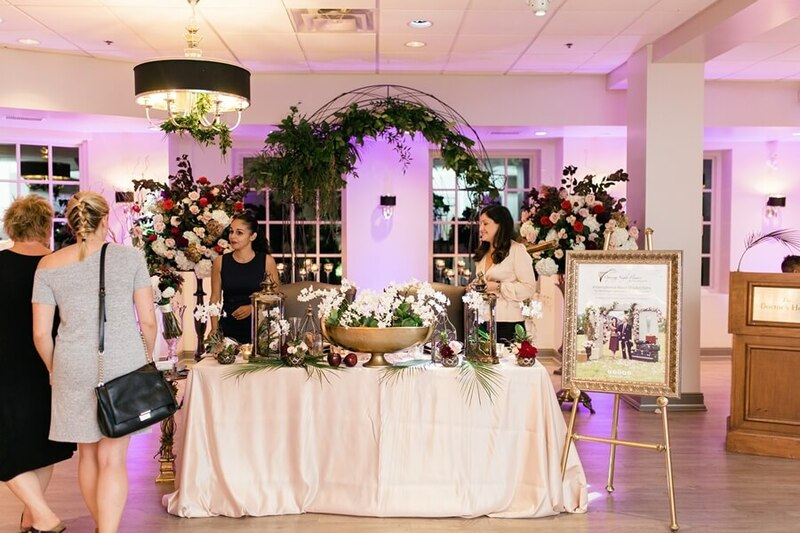 It was inspiring to see just how each talented vendor team brought to life a vision that complemented their space perfectly. 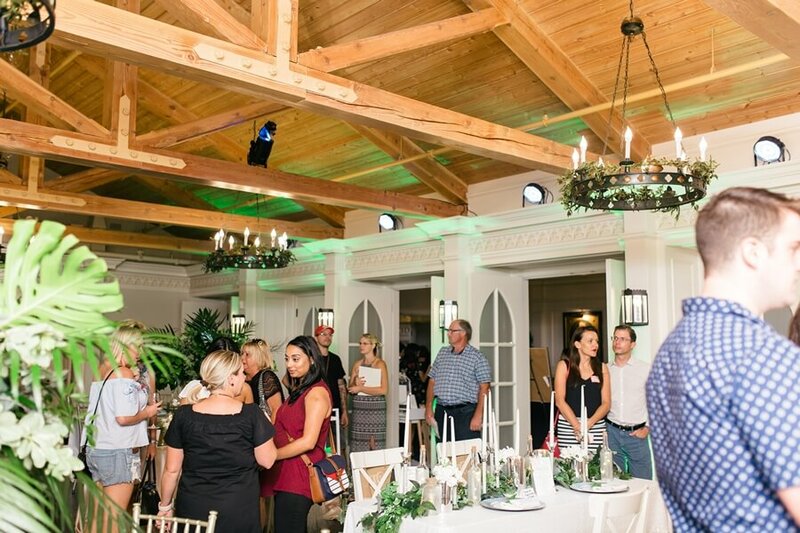 Hats off to the creative teams for showcasing the best of this venue, as well as the culinary staff for providing yummy treats and sips throughout the evening. 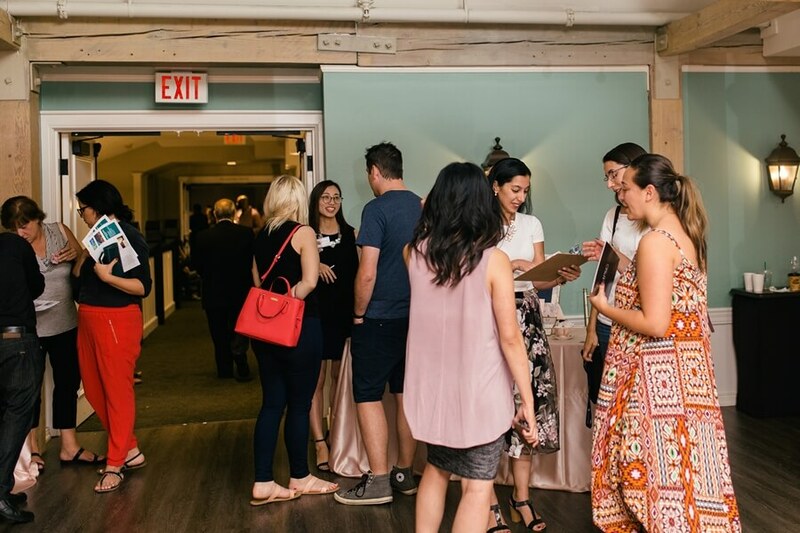 Judging by the considerable number of guided tours and one-on-one meetings happening during the open house, this space will continue to book solid throughout 2018-2019 season! 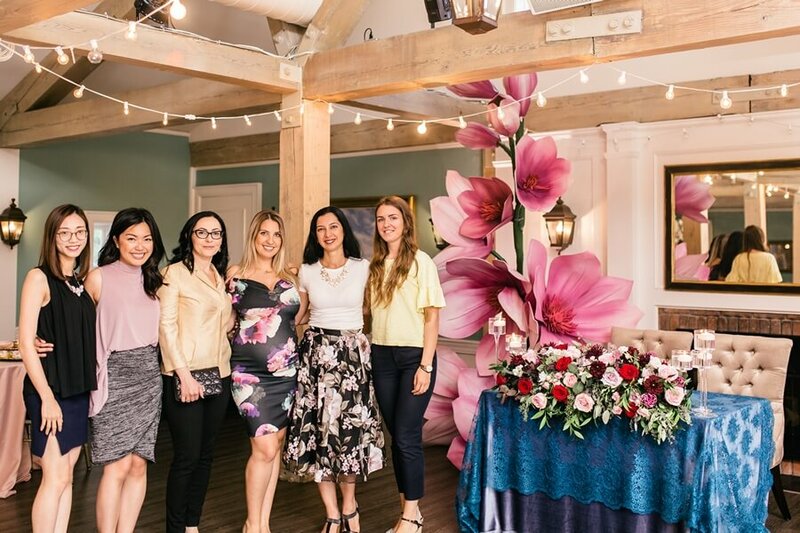 Thank you to the team at the Doctor’s House for hosting us all, and we look forward to the next open house!